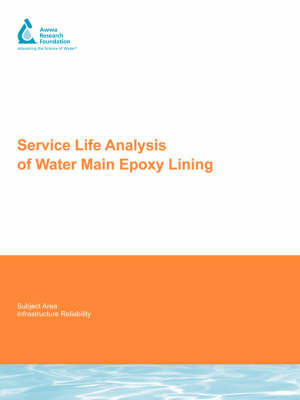 The objectives of this research were to: (1) gather information on historical epoxy lining installations and document the effectiveness of these previously installed liners in protecting cast iron or steel water mains; (2) develop protocols and procedures and conduct accelerated life-cycle tests on epoxy liners to assess their long-term performance; and (3) assess the longevity of early epoxy liner installations for renewal planning. This study demonstrated that epoxy lining is a viable rehabilitation method for unlined cast iron and steel water mains. For structurally sound water mains with severe tuberculation causing reduced hydraulic capacity and water quality problems, epoxy lining can provide a greater increase in hydraulic capacity than conventional cement mortar linings. When installed properly with appropriate QA/QC procedures, epoxy lining is expected to have a service life of at least 40 to 60 years.